We are proud to offer professional massage therapy services for our clients in the North Texas area! When you schedule a massage with Dana Cluff, you can be confident that you are receiving skilled and ethical outcall massage services, so you can fully enjoy your session in the comfort of your home! Massage sessions are available for anyone medically cleared, both doula clients and non-doula clients alike, within my travel radius for services (contact us to see if we serve your area, a travel charge may apply). 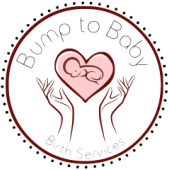 Doula clients receive one FREE in-home prenatal or postpartum massage when signing on for birth services, and big discounts on additional sessions! "[Prenatal Massage] is effective for reducing pregnant women’s stress hormones, stressful mood states, leg and back pain and for lessening obstetric and postnatal complications, hence improving neonatal outcomes." A Touch Research Institute 2010 study showed that prenatal massage therapy decreased anxiety, lowered pain in both the legs and the back, and decreased prenatal and postpartum depression levels. Other benefits identified in this study included reduction of cortisol levels, which in turn showed a 75% decrease in premature births and 80% decrease in low birth weight for the newborns. These women were massaged for just 20 minutes each week for 5 weeks! This study also included massage during labor, and found that pregnant women who were massaged for 15 minutes each hour during labor had significantly less pain, requested less medication, received fewer interventions, and their labors were on average 3 hours shorter. Studies conducted in the US in 1997 and Taiwan in 2002 share those same results, while adding that women were discharged from the hospital earlier after birth. 1997 Touch Research Institute study showed numerous positive results from massage during labor. These included a decrease in depressed mood, less anxiety, less agitation, and less pain. The participants also benefited by having significantly shorter labors, were able to leave the hospital more quickly, and experienced less postpartum depression. A 2005 study looked at the benefits of the pregnant woman’s partner giving her massage during the pregnancy. The benefits of this study went beyond the effect of massage therapy on the woman. The study showed that the fathers experienced a reduction in their own levels of anxiety, and that there was also a benefit to both partners in adjusting to the changes the pregnancy was having on their relationship. Massage therapy during pregnancy has shown positive results in every possible area, with less pain, shorter labors, fewer interventions, healthier mothers, healthier babies, and more satisfying relationships. Contact us today to see how our massage services can help you!